It’s encouraging to see local councils joining the conversation about access to housing for domestic violence victims, writes Community Sector Banking CEO Andrew Cairns. 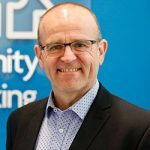 It’s encouraging to see local councils joining the conversation about access to housing for domestic violence victims writes Community Sector Banking CEO Andrew Cairns. Access to affordable and accessible housing connects to lots of conversations in our communities right now. For those escaping family violence, it is especially critical. An estimated 80 per cent of people dealing with domestic violence are also contending with financial or economic abuse. This could take the form of interference with their employment that stops them earning a living, or problems accessing money or bank accounts – even malicious debts being incurred in their name. Not to mention the hit to superannuation, interruptions to careers while court dates, counselling and legal appointments unfold, and the untold physical and emotional side effects that come with leaving a violent relationship. Each of these can be a major impediment to securing safe and long-term accommodation. Domestic abuse is the single largest driver of homelessness for women. And while crisis accommodation is crucial, so too is being able to transition to stable, long-term housing that’s close to transport, hospitals, schools and jobs. That’s why it’s encouraging to see the conversation about access to housing for domestic violence victims starting to include an important voice in a well-functioning community – the local council. Councils in some parts of Australia have traditionally been a roadblock to increasing the supply of social and affordable housing which is critical for people escaping domestic violence. Many serve only to channel opposition from local residents, and to maintain the zoning and development policies that drive up the cost of housing. But it’s promising to see there are some councils that are bucking the trend. For example, Randwick Council, in Sydney’s east, has proposed allocating a share of its affordable housing stock to families escaping from domestic violence. Randwick is fortunate – it’s one of just three councils in New South Wales with its own social housing program. Through mandates imposed on large developments the council has been able to build up a portfolio of 20 homes which it uses to give housing support to critical workers and community members in need. New developments are soon expected to give it the keys to another 10 units for its affordable housing portfolio. And the council anticipates up to 200 more social housing units could be on the books within a decade. Randwick is gaining a voice in social housing because of the large-scale development happening in its boundaries. But its decision to make a clear connection between that asset and the response to domestic violence could be something of a breakthrough in how Australians think about social housing. It’s also a great example of collaboration between sectors (in this case, local government and private developers) to address the difficult issue of domestic abuse. While Randwick might be fortunate in some ways, all councils have the ability to have honest and frank conversations with communities. It is here at the individual level that we can all contribute to a solution. Neighbours will need to dial down reflexive NIMBY (not-in-my-backyard) opposition and become more accepting of the need for low cost housing as part of the essential makeup of our cities of the future. Councils also have the ability to bring people together, whether that be developers, not for profits, philanthropists or banks. Through policies and incentives they could generate more investment in the affordable housing their communities need. Playing an active role in community planning that sees affordable housing and crisis accommodation planned for and developed would be a fantastic thing to see. Once councils deal themselves into social housing conversation, they can use their voice to make sure that those in most need – like domestic violence victims – can be given appropriate priority. That would be an asset in which all citizens could share an interest. Is there any existing or discussed initiative which would provide housing on acreage for DV families, somehow via government grants where the usual additional expense per family would be less of an issue? Perhaps with donated pop-up housing units?